What do you see when you look at this picture, a rabbit or a duck? 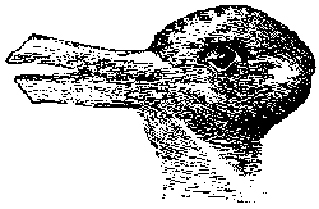 This figure creates an illusion as the brain switches between seeing a rabbit and a duck. Researchers indicate that children tested on Easter Sunday are more likely to see the figure as a rabbit, whereas on a Sunday in October, they tend to see it as a duck (Brugger and Brugger 1993). What influences what we “see” as we experience life? Why do we do what we do, the way we do it? Where do we get our ideas of right and wrong? 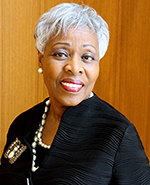 How can we improve on our relationships with others? I have so many questions for which I have no answers. But during resurrection season, I think a lot about such questions and about my need to change. I think about what Christ sees in me. I think about the newness of life that comes because Christ gave His life (John 3:16) and pledge once again to try to be a better person each day. 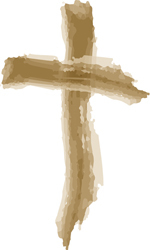 What do you see when you look at the cross at Calvary? Do you see only two pieces of wood nailed together? Or do you see the whole story from creation to resurrection? Does looking at the cross create an illusion in your mind – shifting between a cross that symbolizes suffering and shame to a cross that lifted the Savior up to fulfill God’s promises to save us from our sins. I pray that we will transform how we see life as we set our minds on things that are above; strive to understand how other people see things; trust that God has a plan for our lives; believe in the power of the truth; and keep on striving to love one another as Christ has loved us.